Last week I went into the studio and recorded a few tracks with the Chamber Quartet I co-lead with Weber Iago. Below are links to the latest mixes. My buddy, and regular reader, Sammy sent me this patent filed by George Bundy in 1940 for what eventually became the Selmer adjustable ligature. I have seen these called Magna-tone, Adjusta-tone or Expando ligatures. I've played on of these on my tenor for several years now and they are great. Joe Lovano also uses one. The cool thing about the lig is that it can be adjusted to work on clarinet, alto saxophone and tenor saxophone, and probably bari sax as well. At one point these rare ligs were selling on eBay for $100 or more. Now, like about everything else, the prices have come down a bit, to more like $40. I like them because they help with a quicker response without adding too much high end. If you are reed obsessive like I am you can also change reeds very quickly. 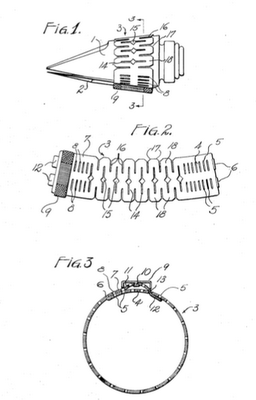 The patent has expired and there is a guy in Italy making replicas of these now. You can buy them in several different types of materials. Next week I leave for India! I'm trying to get everything in order here before leaving the country for 17 days. This trip is something I've wanted to do for many years and it is finally happening. I will not even be taking my horn with me. It will be the longest amount of time without my lips touching a reed in my recent memory. I might try to pick up a ney or nadaswaram while I'm there, but this trip will not be musically motivated. I love Indian Classical music, but I know very little about it. Maybe I'll be able to hear some at some point. I'm more interested in the art, religions, history and architecture of the Indian subcontinent. I have a full itinerary planned that includes the usual monuments like the Taj and Red Fort, but also some interesting temples, Sufi shrines and museums. 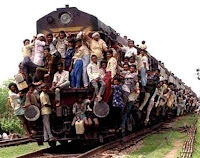 I have done a fair amount of traveling in my time, but nothing as exotic as India. Before I leave I'm going to be recording a couple of different projects, one will be a duo recording with pianist George Colligan. If you haven't checked out George's blog called Jazz Truth you should. It is one of the most interesting Jazz blogs on the internet because it is written by a Jazz musician who is touring and recording with some of the best players on the scene, like Ethan Iverson's Do the Math blog or Darcy James Argue's Secret Society blog. (I just totally redesigned George's blog and I must say it's looking pretty spiffy). George regularly tours with Jack Dejonette and Don Byron, as well as a lot of other great musicians. He has some fascinating interviews on his blog with different members of the bands he tours with. Today Colligan posted an interview with David Fiuczynski, who is an old buddy of mine and one of my favorite guitarists of my generation. George, his wife (and pianist) Kerry Politzer, and their son Liam have been settling to the Portland groove nicely. I'm sure in no time they will both be gigging like crazy. George is now teaching at PSU, but he still does a decent amount of touring. There aren't many blogs out there that can keep my attention enough to read back through the archives, Jazz Truth is certainly worth some consideration. 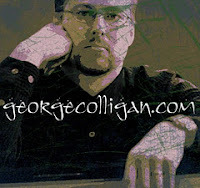 I'll be posting an interview with George Colligan soon, so stay turned. I may post a few pics of India from the road, but I probably won't be writing much until I get home in December.